Lorac seriously stepped up their game with these highlighters (as well with their new range of blushes). Texture of these is one of the best powder textures I have ever tried. You know when powder is so soft and silky and pigmented that you just want to call it “creamy” ? That is how these feel. It is really hard describing how great they are because pics don’t do them justice. Colors are not particularly unique but the texture is something that sets them apart of anything else on the market. And the price point – 22$ is a steal! Packaging is simple and sleek no complaints there. I picked out two of the shades and the first one showed here is Daylight which is soft gold color. And the Starlight which is described as white opal. When heavily swatched they seem almost identical with Daylight being a bit more golden. But when blended you can tell the difference. Daylight is darker, more golden while Starlight has white almost silver base with golden shimmer to it. Depending on your complexion I would suggest both for lighter skin tones – the ones that lean warmer both will look great while the ones with more cooler or neutral undertone Starlight might be better. My only issue with these is how ridiculously pigmented they are – can that even be an issue? Yes because you have to use these with a very light hand and with a brush like the fan ones that do not pick up a lot of product. If you pick up too much it is hard to blend them to look natural. 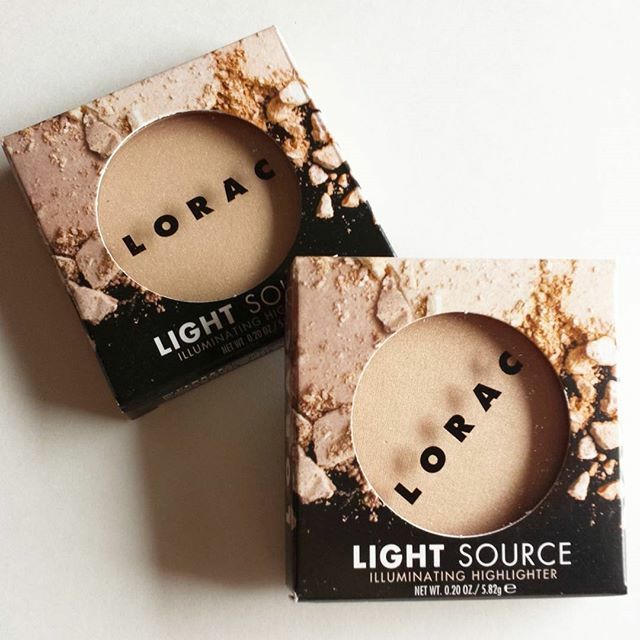 LORAC Light Source Illuminating Highlighters are one of my favorite purchases in a while and completely unplanned they caught my eye in the store.